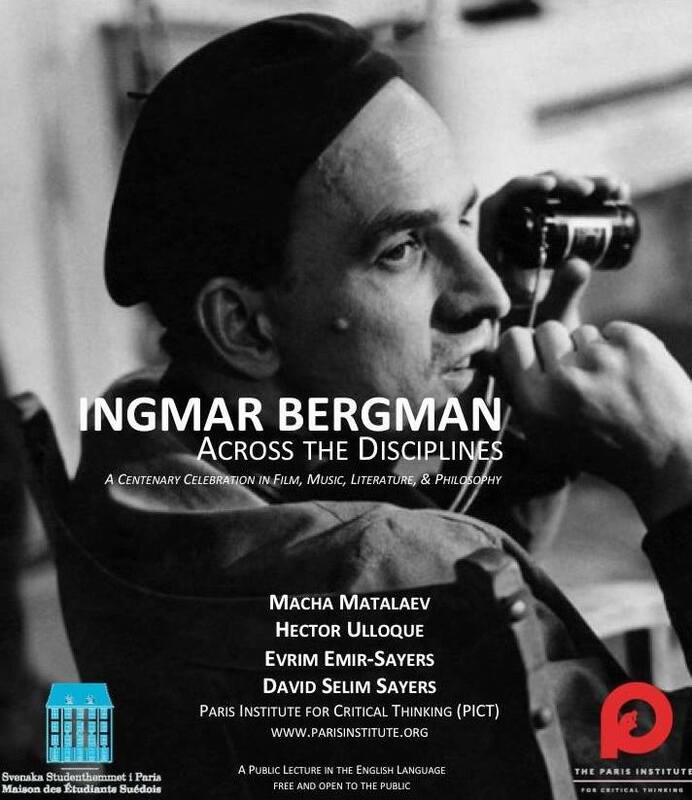 Welcome to “Ingmar Bergman Across the Disciplines,” a multi-disciplinary event celebrating the centenary year of the famed Swedish director’s birth. During this evening of music, images, and conversation, PICT core faculty members Evrim Emir-Sayers, Macha Matalaev, David Selim Sayers, and Hector Ulloque will take turns conveying different dimensions of Bergman’s work as they relate to the fields of philosophy, music, literature, and, of course, filmmaking. Please join us in celebrating and discussing the lasting influence of this unique artist and true PICT icon! The event is free and open to the public. Limited seating.